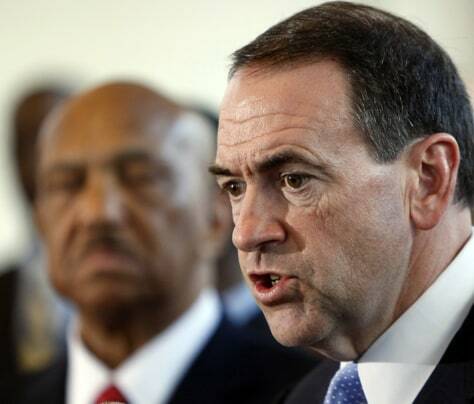 Next story in Mike Huckabee News Huckabee OK with third in N.H.
Republican presidential hopeful, former Arkansas Gov. Mike Huckabee, holds an availability announcing the endorsements of various African-American leaders, Monday, Jan. 21, 2008, in Atlanta. At left is Rev. William Owens, president of the Coalition of African American Pastors.